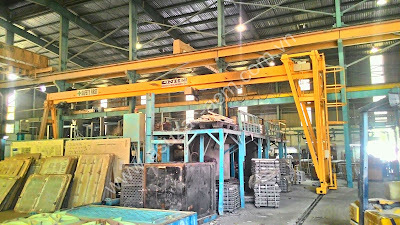 Along with the investment and put into applythe 6m-moulding-system, ASUZAC ACM also commissioned produce new crane-system at the end of 2014 in order to serve better products; as well as the peak period of production schedule to meet the customer requirements. 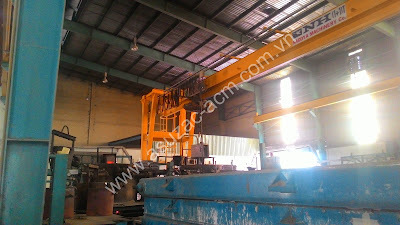 The old crane-system cannot provide the cast aluminum products with large size. The aluminum poured into molds to make each one. This affects a lot to the production schedule, due process moves forward to a new aluminum can pour fresh ingredients makes it cooldown. 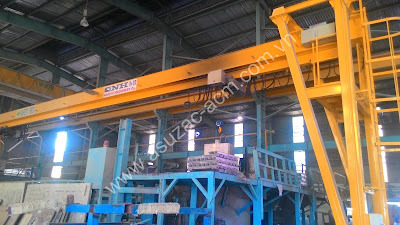 The newcranesystem is the product of NAGOYAJapaneseindustrial equipment,withcan handle up to 2 tons in total. Along with this system, the progress and quality of work, such as Otemachi project being produced at the plant were significantly improved compared with the previous system. 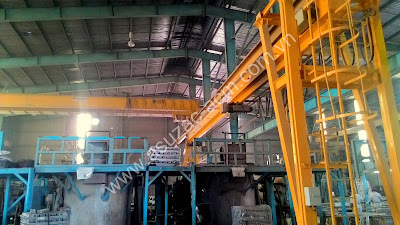 Alongwiththeinvestment into moulding system and CNCmachine,thelargemachineryexpressdeterminationforVietnammarketandlook toexpandthemarketin the region. Interior - exterior decoration with Aluminum product.